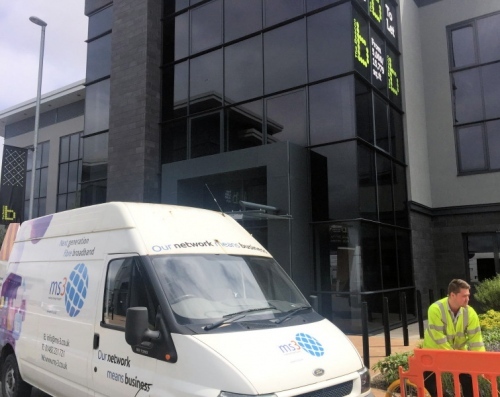 The provider states that it has seen a “significant rise” in the number of requests from other network operators and ISP’s across the UK for wholesale connectivity in Hull. In response MS3 says they’ve added more high capacity, diverse internet connectivity into their network and core network equipment in London, Manchester and in Hull at their main Point of Presence (PoP). By taking presence in London and Manchester, MS3 say they’ll be able to deliver “full fibre” services to other providers so they can “take complete control of the service to the end customer.” The operator also plans to take presence in other Data Centres in the future in order to increase diversity within its service offerings, both directly to customers and on a wholesale level. Some of our readers may recall that in 2016 MS3 also spawned a residential focused ISP called connectHull, which aimed to take on local incumbent KCOM by building a Gigabit capable Fibre-to-the-Home (FTTH) broadband network. The first “trial” homes went live in January 2017 (here), with the network covering around 1,200 premises. Sadly 2 years have now passed without an update and it probably doesn’t help that KCOM looks set to complete the roll-out of their Gigabit capable FTTP network to c.200,000 premises by the end of March 2019. However MS3 informs ISPreview.co.uk that connectHull has still been installing services in the city centre (similar to Hyperoptic’s model), although for now they’re more focused on business than residential provision. We understand that an announcement about 7km of further fibre optic network build may follow in the coming months.